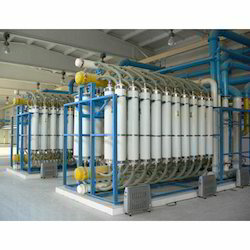 We are reckoned entity of this domain affianced in providing an enhanced quality Water Ultrafiltration Plant. In order to keep pace with the never ending demands of customers, we are involved into offering wide range of Water Filter Machine. Being a prominent firm in this domain, we are engaged in offering a distinguished assortment of Industrial Water Filter System. 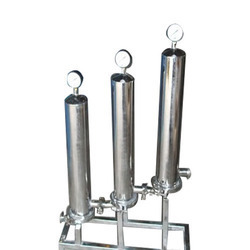 Stainless Steel housing are designed for high purity applications. All wetted constructed of SS304/316 and are nickel chrome polished, providing excellent corrosion resistance. The housing comes in 5" to 40" cartridge sizes to meet the needs of your applications. - Length : 5", 10", 20", 30", 40"